A CONTROVERSIAL Harare pastor who once hogged the limelight for wrong reasons is back again claiming to have restored sight to a blind woman. 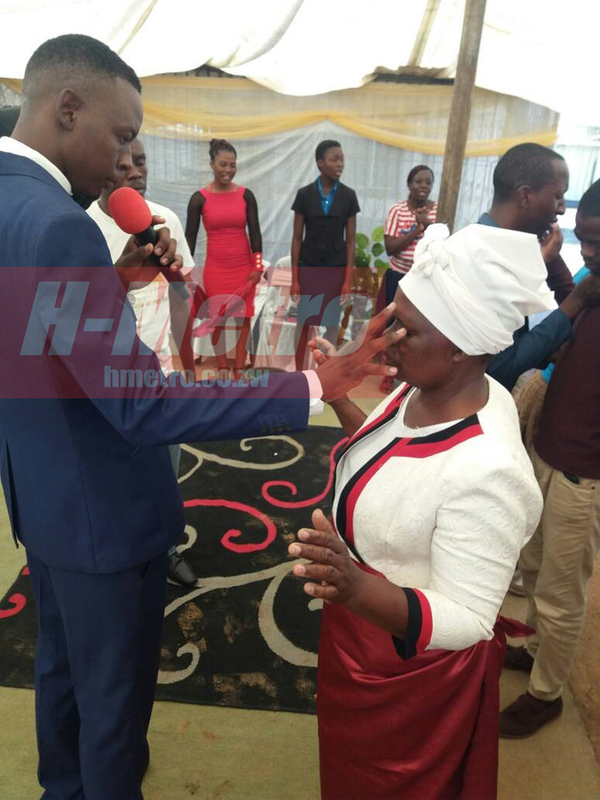 Highfield based Apostle Trevor Mawoyo claims to have restored a Sunningdale woman’s sight and other afflictions. When this reporter attended the church service recently, he witnessed claims on sight healing where a woman from Sunningdale 3 confessed to have been blind for the past three years since her eyes had developed holes in the nerves. Speaking to H Metro on the sidelines of the church service the Apostle said, “The woman was blind for at least three years, she went to Botswana and South Africa but eye specialists failed to restore her sight. “The hand of the Lord is upon the ministry, it is like the days of Jesus when the Apostles released the anointing oil on sick bodies and people were getting healed. At Christ in Action International Ministries, they have an anointing oil labeled Yoke Destroyer.